Portrait of a director Damani Baker's family which his activist mother moved to Grenada in 1983 right after the country had an Afrocentric revolution and months before the US military invaded. In the wake of so many angry films about race THE HOUSE ON COCO ROAD stands apart as a low key examination of America and the racial issues that have divide the country. Baker is not screaming into the night about wrongs done to all people of color, rather he is simply trying to understand himself and his family and as such he has made a film of quiet power that sneaks up on you. The film was started in 1999 when Baker and his mother returned to Grenada after 16 years. He was trying to piece together the story of his family and what happened to bring them to the island back in 1983. The project was to be a school project but it was never completed. Years later he found packed away audio tape interviews, film footage and tons of files and the project was restarted though with a broader eye to the story of more than just his family. This is a low key film that at times could have used a shot of energy. Blame it on Baker's almost low volume, almost monotone narration. There is nothing wrong in anything that he is saying, however there is rarely any hint of emotion in what is being said so one can occasionally drift off. 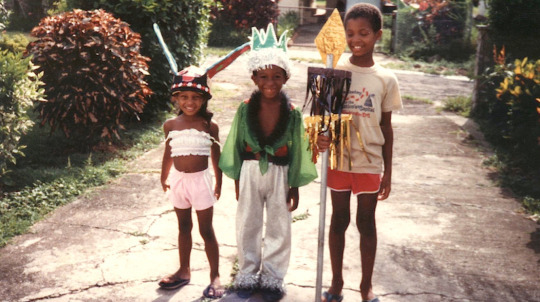 THE HOUSE ON COCO ROAD plays November 15 and 17th at DOC NYC. For tickets and more information go here.